Digital Materials: Annual Subscription Access Period: July 1 - June 30. Click on the item name to view a detailed product description. 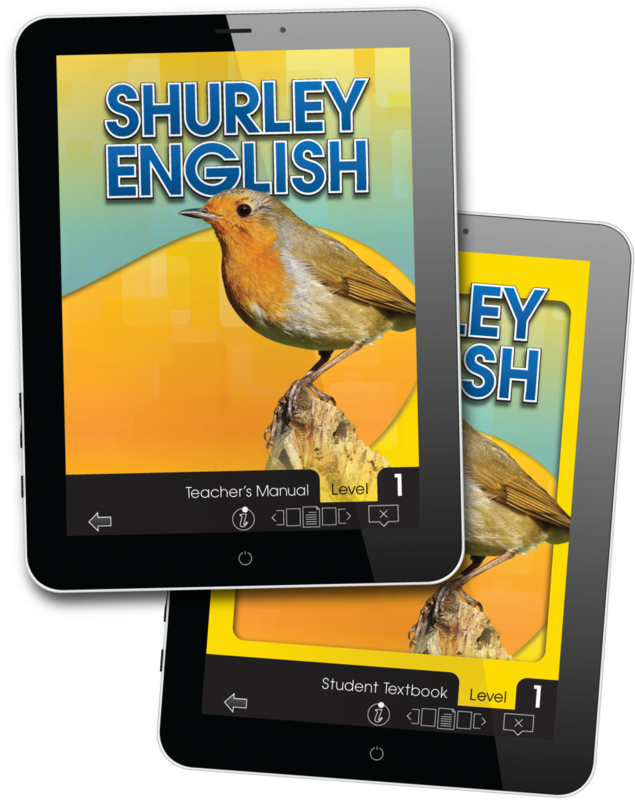 The Digital Classroom contains everything one classroom needs to complete the school year using Shurley English. The Digital Classroom includes 20 Digital Student Textbooks and Digital Teaching Materials for one teacher. In order for the teacher to take full advantage of our numerous digital enhancements, we provide a Digital Teacher's Manual and a Projectable Student Textbook. The Teacher's Manual is essential for teaching the Shurley English curriculum. The digital manual contains everything that is in the traditional print edition, with additional features like bookmarks, notes, search, and access to powerful teaching aids. Teachers need only click the mouse to have access to modified worksheets, blank templates, and other helpful teaching aids available for duplication. The Projectable Student Textbook includes numerous digital enhancements that are intended for interactive use during the lesson. Simply click the interactive "i" at the bottom of the screen to view the special content. 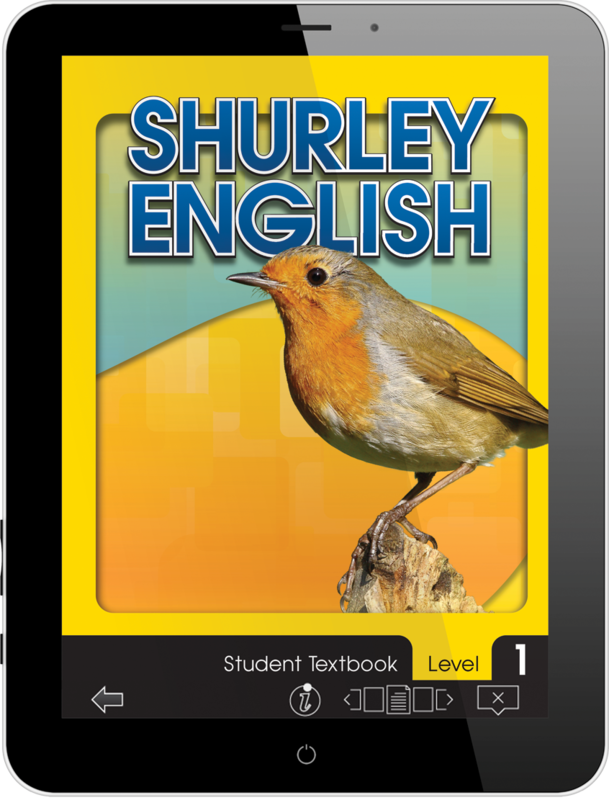 Within the Digital Teaching Materials, teachers are given access to the Shurley English Digital Assistant (SEDA). This valuable resource creates endless ways to promote knowledge acquisition and reinforce retention. If your classroom contains more than 20 students, you may add-on the following Digital Student Textbooks to your Digital Classroom Order. The Digital Student Textbook has been carefully developed to include numerous digital enhancements. The Digital Student Textbook can be displayed on students' computers, tablets, or compatible smartphones. It contains all the digital enhancements that make the lesson interactive and engaging. The student may access the digital textbook from home or school. The +SEDA Classroom is offered as an add-on extension to the Digital Classroom. The +SEDA Classroom provides access to 20 students and is paired directly with one Digital Classroom. With SEDA, you will change the way you deliver Language Arts instruction to your teachers, students, and parents by providing your team with a video of the lesson. Teachers can use SEDA for detailed training, lesson preparation, co-teaching, blended learning, and more. Students can use SEDA for pre-teaching resources, post-teaching reinforcement, and continued learning during absences. Parents can use SEDA to remain in-tune with what is happening in the classroom and provide accurate reinforcement at home. SEDA is for everyone! This valuable add-on resource will create endless ways to promote knowledge acquisition and reinforce retention. Note: If your classroom contains more than 20 students, you may add-on additional Student SEDAs to your +SEDA Classroom order. * Discount calculated at checkout.